Sonoma State University has been ranked as one of the nation’s top five universities for studying abroad. The Institute of International Education (IIE), a leading nonprofit educational and cultural exchange group, ranked Sonoma State’s Study Abroad program fifth among master’s degree-level colleges and universities for the number of students who study abroad for at least one year. This year, 89 SSU students are studying around the world. That number is up from the previous year’s 56 students who studied abroad for a full academic year 63 students in 2015-16. 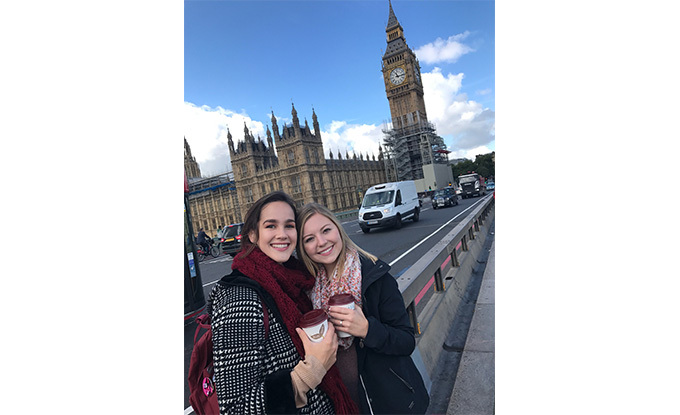 “The reason we have a strong year-long study abroad program, in part, thanks to the support of faculty and academic departments, says Hope Ortiz, International & Exchange Programs Advisor for Sonoma State University. Ortiz said faculty advising on appropriate courses is key to assuring that students away from campus take the classes that are beneficial to their degree. Top choices for Sonoma state students are the United Kingdom, Italy, France, Australia and Germany. In addition, since the 2013-14 academic year, SSU has had 101 students participate in National Student Exchange to study in the United States and its territories (Puerto Rico and U.S. Virgin Islands). Ortiz, who studied abroad for a year in Mexico when she was an undergraduate at Sonoma State University, said the full-year experience is important. Other California State University campuses that appeared in the top 10 this year include Chico State, San Luis Obispo, Monterey Bay and Long Beach. Sonoma State also serves as a destination for others around the world. Currently the University welcomes 62 students, educators and scholars from nations across the globe.